← Your Plumbing Satisfaction: That’s what we strive for! Its the fall season and you will need to be switching from air conditioning to heat soon enough if you haven’t done so already. Let Eagle Services come out and do a check and service for you today so you are not stuck in the cold. We charge $65.95 for the 1st unit and $45 for each additional unit. We can change your filters for you and do an overall check of your system. 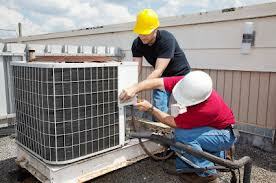 Feel free to go to our website at www.eagleplumbing and air.com to see all we offer…We have Plumbers, Electricians along with Air Conditioning and Heat Technicians. They are licensed and ready to help you 24 hrs a day. This entry was posted in Electrician, HVAC, Plumbing and tagged A/C repair, Chandler Plumber, check and service, heater. Bookmark the permalink.